Flavorful, filling, roasted carrot soup for a cold day! Filled with garlic, broth, basil, sour cream and more, this hearty soup is delicious and paired perfectly with a grilled cheese sandwich. 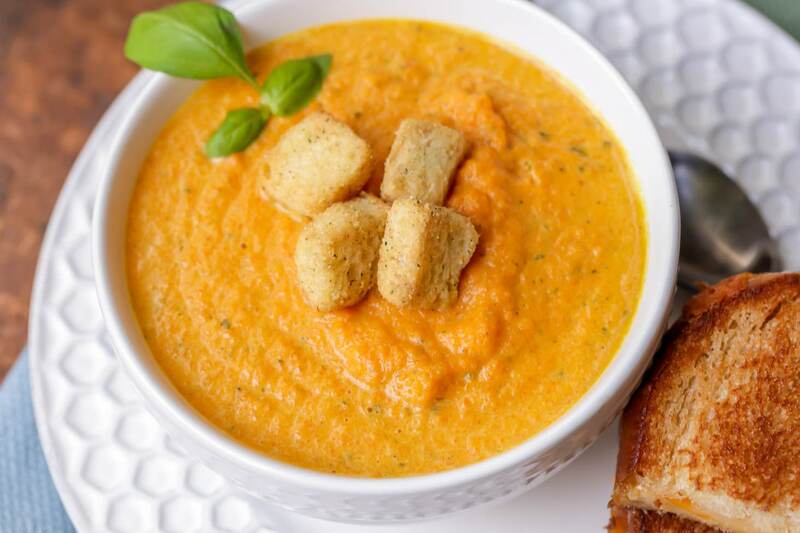 I love the smooth creamy texture of this delicious roasted carrot soup. 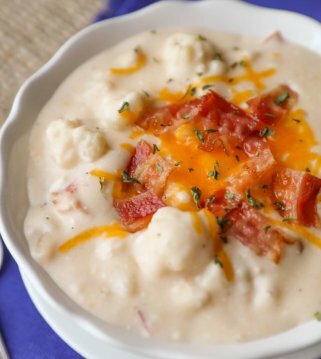 I think it might be the perfect soup for fall time, especially because the flavor of this soup is also top notch (right there with our Tomato Basil Soup and Sweet Potato Soup). You’re going to love the taste of the chopped basil and the creaminess from the half n half. This soup has all the best ingredients – veggies, herbs, and cream! Because the carrots are roasted, it gives it that sweet caramelized flavor that adds a ton of richness to the soup. 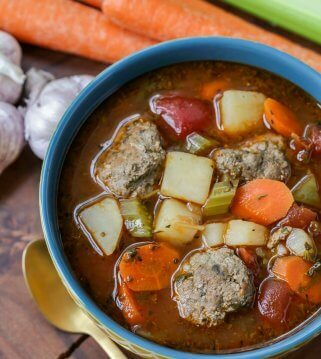 This soup makes a lot so it’s perfect for lunch and dinner leftovers all week. 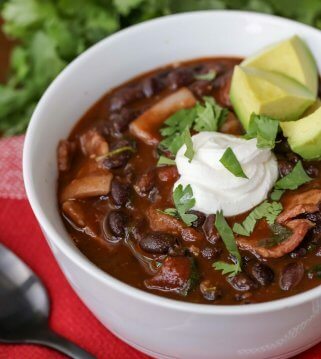 But you might not have many leftovers because this soup is just too delicious. It’s guaranteed to get 5-star reviews from everyone who tries it. Have you ever roasted carrots? It’s my favorite way to eat them. Roasted carrots go amazingly on the side of so many dinners we enjoy, but they are even better in the soup. Start by chopping up your carrots into small pieces. Spread them out evenly onto a sheet pan in one layer along with some garlic. Grab your olive oil and drizzle it over all the carrots. Then sprinkle them with salt and pepper. Toss them around to coat evenly. Put the sheet pan into the oven and roast the carrots for 45 minutes on 375 degrees. The carrots should be tender and golden brown. Don’t over cook them because then they’ll be too mushy – we want tender carrots. Now they are perfect for making this roasted carrot soup! Sometimes soup can turn out a little too chunky, or too mushy, or not pureed enough. 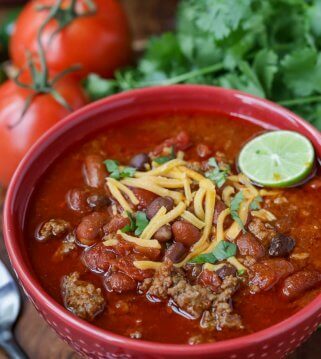 I’ve got a few tips that will help you to make this soup perfectly pureed. If you’re aiming for a creamy smooth soup, an immersion blender is your best bet. 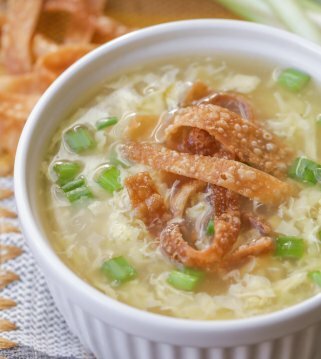 You don’t have to transfer the soup and get another bowl messy. Just put it into the soup and blend! But you can definitely still use a blender or a food processor too. Another tip is to make sure all of your veggies are cooked through. Don’t rush this step or your soup will taste a little gritty. Make sure they are soft but not too soft to be mushy. After the soup has been made, put it through a strainer. This will help catch all of those big chunks and you can re-blend them if you want. 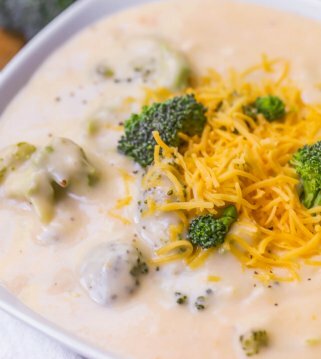 Ready to take this soup to the next level? Serve it with a GRILLED CHEESE. 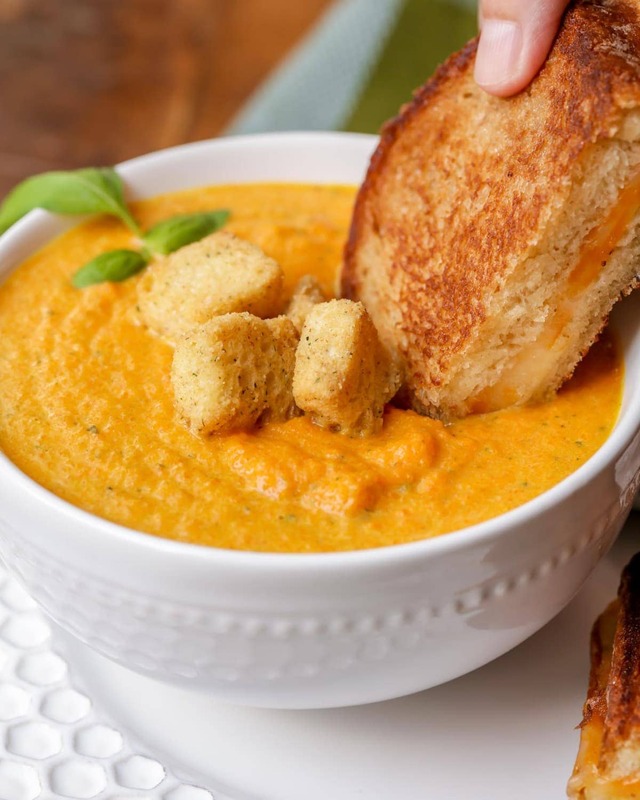 Grilled cheese and soup are a match made in heaven. Grilled cheese makes my heart so happy. And there are a few things you need to know in order to cook the best grilled cheese out there. You have to start with good bread. Make sure it’s not too thick and doesn’t have many holes. Don’t skip the butter!! The more butter the better. Use the right cheese. One that melts really well. Some options are cheddars, fontina, Gruyere, jack cheeses. Cook it on low heat and don’t rush it! Press down on the sandwich when it’s cooking so it get’s that perfectly toasted crust. You really can’t beat grilled cheese with a warm bowl of soup!! 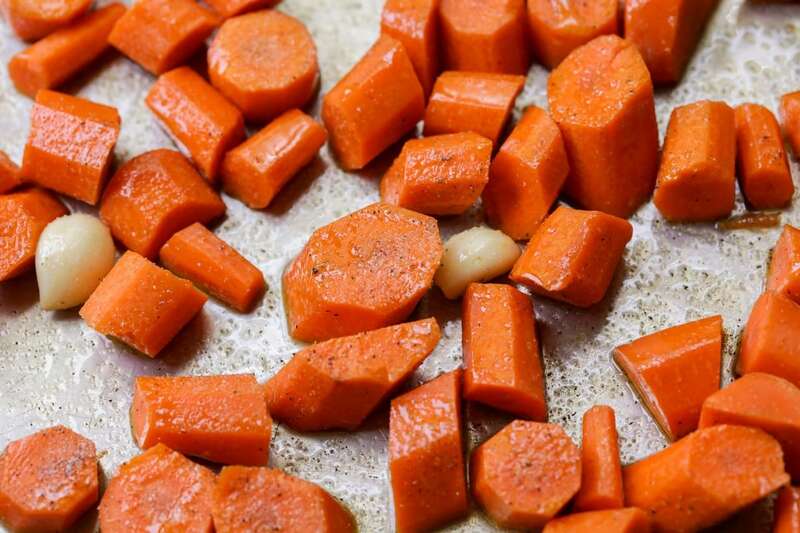 Place chopped carrots on a sheet pan. Drizzle with olive oil and season with salt and pepper. Toss to coat. Roast for 45 minutes, or until tender and golden. Simmer 4 cups of chicken broth in a saucepan. Pop garlic out of the skins and add to the sauce pan, along with the cooked carrots. Simmer for 15 minutes. Then add basil. Puree in batches until smooth, adding half n half a little at a time. Serve warm. Perfect with a grilled cheese sandwich on a Cold, wintry day! ok….one of my new favorites!! Thank you! It was super tasty! !